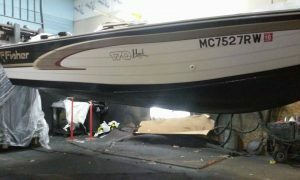 CUSTOM SPRAY-ON LINER - The Topper Shop Inc. 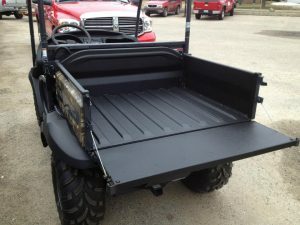 WHETHER ITS FOR PROTECTION OR JUST TO MAKE YOUR PROJECT LOOK SHARP, GIVE US A CALL FOR YOUR QUOTE! 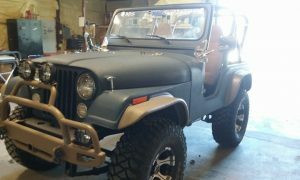 SPRAYED THE ENTIRE JEEP WITH LINER FOR PROTECTION AND A GREAT LOOK! 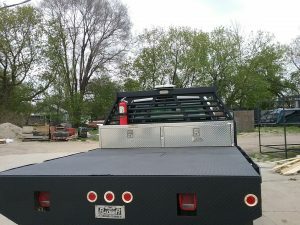 SPRAYED THE ENTIRE FLATBED & HEADRACK WITH LINER. 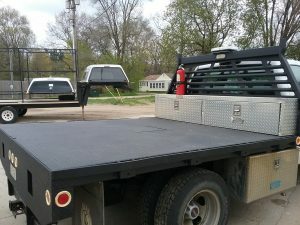 GIVES THE TRUCK BED A FACELIFT AND MAKES IT MORE DURABLE! 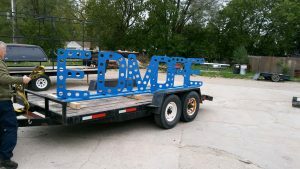 SPRAYED BLUE LINER ON EDMORE’S NEWEST SIGN/BIKE RACK GIVING IT PROTECTION YEAR ROUND AND MAKING IT LOOK GREAT!